Undoubtedly, the United Kingdom is the reigning hub of pro wrestling in Europe. However, such was not always the case. Places like France, Belgium, Netherlands, and Spain historically have deep roots in pro wrestling just like the UK that expanded into the Americas (as Canada and Mexico owe some of its earliest wrestling to France and Spain, respectively). But if there’s a singular country that can stake its claim as second to the UK, it’s Germany. In fact, until 2005 when it closed its doors, Verband Der Berufsringer was the oldest wrestling promotion on Earth. Today, few would argue Westside Xtreme Wrestling (wXw) is Germany’s premier wrestling brand. Home to such stars as WALTER, Da Mack (inaugural Cruiserweight Classic competitor), John “Bad Bones” Klinger, Lucky Kid, Tarkan Aslan, Bobby Gunns, Ivan Kiev, and Melanie Gray, wXw has seen consistent growth especially given the new age of sharing provided by the internet so far as launching its own streaming service wXw Now in 2016. 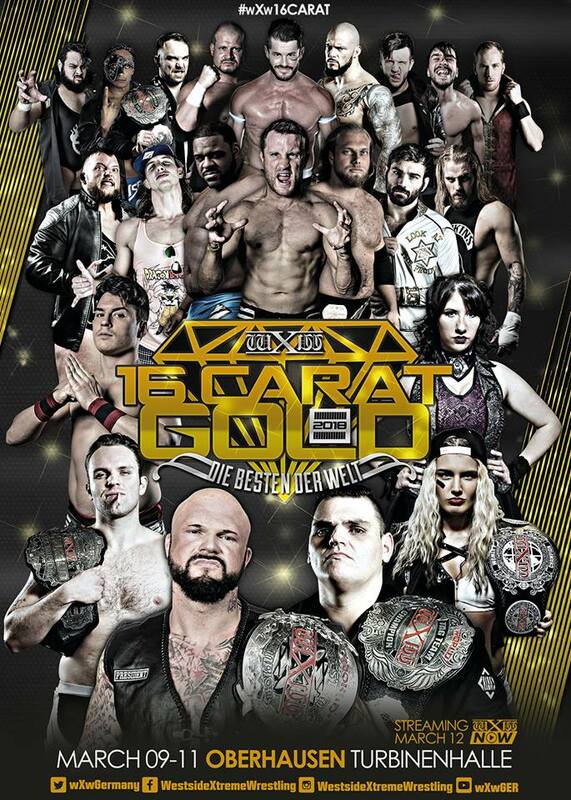 The wXw 16 Carat Gold Tournament has become a staple of the independent scene, 2018 marking its thirteenth year for the annual event which has featured several past and future WWE superstars. With WWE home to stars like Cesaro (Swiss-born but a wXw original), Alexander Wolfe, Axel Dieter Jr, and Jazzy Gabert (until injury saw her contract rescinded) and who has reportedly been seeking WALTER to be signed, Germany has to be a market on the company’s radar. New Japan thus far has made little movement in this part of the world save signing David Finlay, son of WWE producer and retired wrestler “Fit” Finlay, in 2015 who is German-born and got his start in European Wrestling Promotion, Germany’s second most prominent wrestling company. Alternatively, WWE and New Japan likely have their eyes more keenly on Canada. The Hart Family, Chris Jericho, Roddy Piper, Edge, Trish Stratus, Christian: Canada has a long history of producing some of the greatest wrestlers the industry has ever seen. Largely an English speaking nation and a neighbor to the United States, there’s little doubt WWE has its eye on the country as many of its current roster hail from the area: Kevin Owens, Sami Zayn, Jinder Mahal, Bobby Roode, Natalya, Maryse, Tyler Breeze, Tye Dillinger, Eric Young, Candice LeRae, and Aliyah. At this time however, there’s little evidence to suggest WWE has a terrible interest to invest anymore than employing its nation’s athletes into growing its brand there. Of course, tours in the country typically produce some of the company’s most invested audiences. This could very well mean that there’s an untapped market to be found in the country which may have not escaped the eye of New Japan. 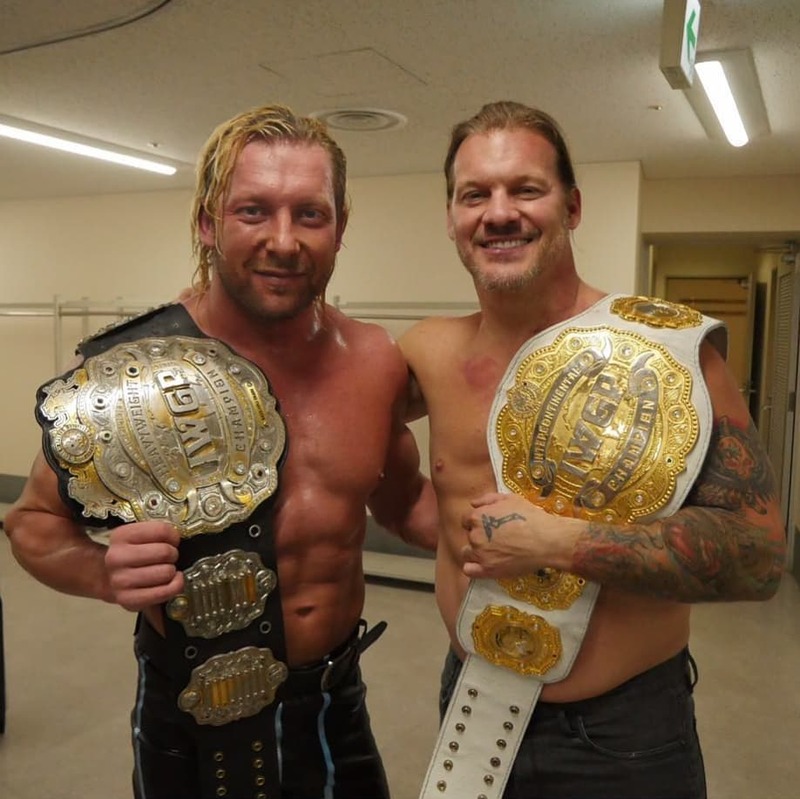 Anyone familiar with Dominion 6.9 in Osaka-jo Hall, a New Japan event that has been lauded by critics and fans alike, is aware it saw three Canadians capture the company’s three grandest titles: Michael Elgin captured the NEVER Openweight Championship, Chris Jericho secured the IWGP Intercontinental Championship, and Kenny Omega earned the IWGP Heavyweight Championship. Add into the mix Don Callis, New Japan commentator and vice president of Impact Wrestling (formerly TNA), one of Jericho’s closest friends who was given his opportunity in New Japan at the urging of Omega, and we could very well see the groundwork for expansion by New Japan into a territory currently in WWE’s blind spot. A more likely target, though, for both companies could be Mexico. With a history mirroring the growth of wrestling in the United States, Mexico not only has a rich history with the performance art, its fans may very well be even more diehard than their Northern cousins. Home to promotions like AAA and CMLL, Mexico is one of the big three countries for wrestling. WWE largely turned a blind eye to the country until ECW brought stars like Rey Mysterio Jr, Eddie Guerrero, Konnan, Psicosis, and Juventud Guerrera stateside catching the interest of WCW who made the performers a hot midcard staple of its programming, seemingly sucking the country dry until WWE finally paid attention and was left with the scraps (though, even then, they had and lost Super Crazy who went to ECW and become a big star, returning to the WWE shoulder to shoulder with Psicosis and Juventud in the Mexicools). Following the demise of WCW and ECW, WWE generally had little interest in the country’s performers beyond Mysterio or Guerrero. New Japan would foster an arrangement with CMLL in the late 2000s that saw talent exchanges and an annual series in Japan called Fantastica Mania beginning in 2010 near Wrestle Kingdom (New Japan’s biggest annual event). 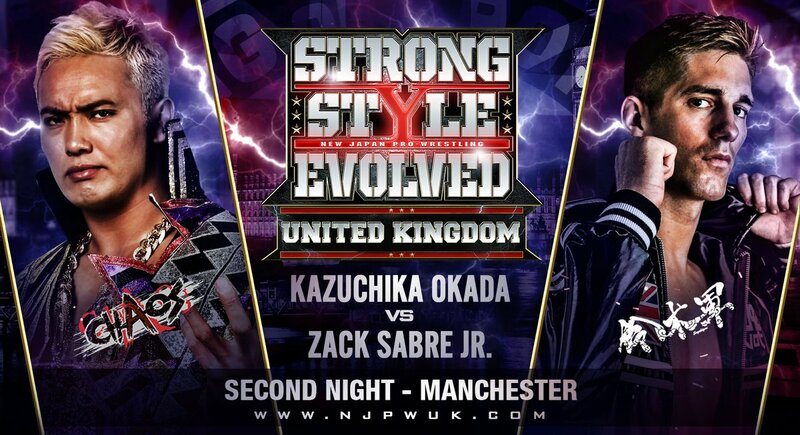 This arrangement would payoff in a massive way in 2015 when Tetsuya Naito, a Japanese performer New Japan pushed that didn’t catch on with fans as the promotion hoped, returned from a tour in Mexico with a new gimmick leading the Japanese chapter of CMLL’s Los Ingobernables. The move would bear great rewards as Naito became a big star on the level of the like of Hiroshi Tanahashi and Kazuchika Okada as WWE had secured Japan’s biggest star Shinsuke Nakamura and Los Ingobernables de Japon (LIJ) supplanted Nakamura’s faction Chaos as the Japanese fans’ new favorite (WWE would also secure CMLL’s Los Ingobernables’ leader La Sombra, unmasked today as Andrade “Cien” Almas). Hiromu Takahashi, a member of LIJ and the current IWGP Junior Heavyweight Champion, also returned from a tour in Mexico to became a massive star in NJPW. In recent years, WWE has seemingly become more aware of the Latin market as noted with Almas and having brought on Gran Metalik (CMLL’s Máscara Dorada), Sin Cara (AAA’s Incognito), Kalisto (AAA’s Samuray del Sol/Octagón Jr), Lince Dorado, No Way Jose, Zelina Vega, Raul Mendoza (AAA’s Jinzo), and Primo and Epico Colón. While a Mexican market maybe viable for either company, an advent in 2014 may have changed the game for how this conflict could pan out. 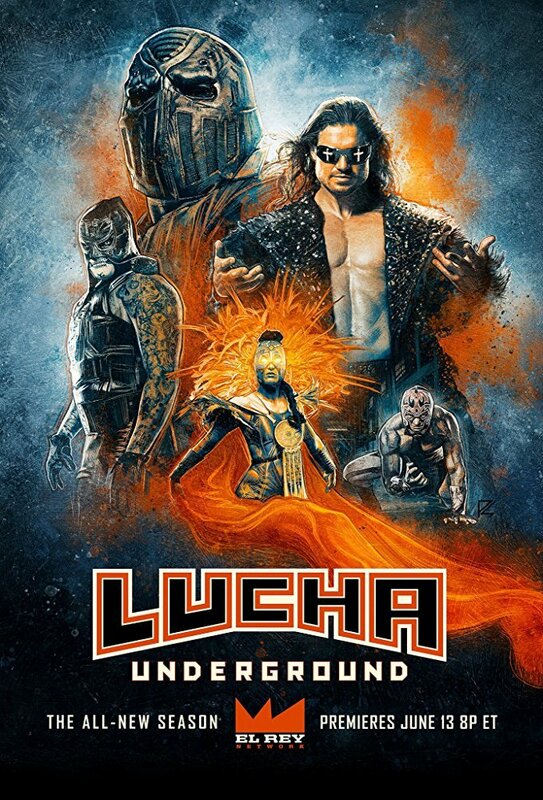 Filmmaker Robert Rodriguez (Machete, Desperado) and producer Mark Burnett (Survivor, The Apprentice) teamed up in 2014 to produce a television series featuring Mexican wrestling (lucha libre) for Rodriguez’ new network El Rey called Lucha Underground. 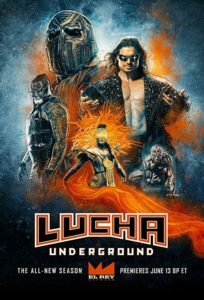 Intermingling wrestling matches with pre-recorded scenes, the series focuses on an underground fight club that is a battleground for the Aztec gods and features an alien, dragon, witch, zombie, skeleton, reptilians, and undercover cops among its cast as the world is on the verge of doomsday. Becoming the crown jewel for El Rey, the series is currently in its fourth season as past seasons have made their way to Netflix and it has been distributed internationally to Canada, France, Germany, India, Japan, and Southeast Asia. Originally, the show made a deal with AAA which mixed together its performers with American wrestlers, including former WWE superstars. However, many of the AAA stars became big in the US following the show’s airing but were often still passed over in Mexico leading some to break off on their own and make significantly more money on the American indies. Likely the biggest stars to come out of LU were real-life brothers Pentagón Jr. (Pentagón Dark/Penta el 0M) and Fénix who split from AAA but remained with the show. It’s Pentagón Jr. who then enters into a rather unique situation from this. For some context, as noted, New Japan has an arrangement with CMLL and NJPW pressured American partner Ring of Honor (the third biggest wrestling promotion in the US) to only use CMLL talent (as ROH used AAA performers for a time). AAA, who has an arrangement with LU as noted, entered into some deal with Impact Wrestling (the second biggest in the US) which has seen LU stars appear on both LU and Impact concurrently. Pentagón is currently on the roster of Impact (recently, he was even their champion for a brief period) and he has just signed with CMLL (as his brother has as well). Also, ROH has started having interactions with Impact (last year, the Hardys and Young Bucks fought in ROH, recently Impact champion Austin Aries has been competing in ROH with the title). So, in theory, Pentagón could now appear on three separate US wrestling television series (should he make it on to ROH) and is now in a position to perform for NJPW. But, coming back to the initial point, Rey Mysterio Jr is the likely the biggest Mexican wrestling star in US history who has just started performing for New Japan recently and the current biggest Mexican wrestling star in America in Pentagón is now within New Japan’s reach who is already appearing on two, maybe soon three, different US wrestling TV shows. To say New Japan has firm ground to expand into the Latin market with Naito, Hiromu, Jericho, Mysterio, Pentagón, and Fénix (as well as the rest of the CMLL roster) is an understatement. It should be noted, LU co-executive producer Chris DeJoseph has claimed WWE on the eve of his show’s second season debut attempted to sign the show’s entire roster to come to WWE. Since that time, only Alberto El Patron (Alberto Del Rio) and Ricochet (LU‘s Prince Puma) has signed with WWE (Mysterio would do a handful of appearances). 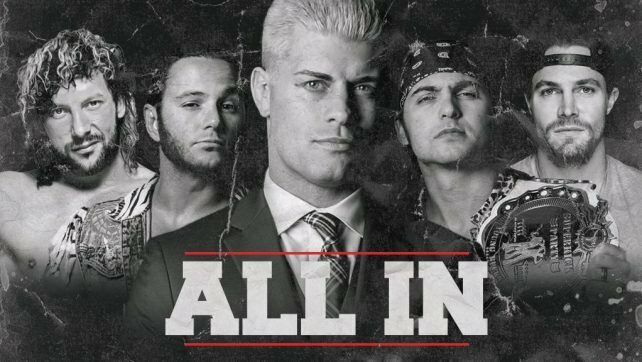 Of course, should NJPW put so many irons into so many fires, it begs the question what if WWE simply brings the fight to their own door. When WWE snatched New Japan’s biggest star in Nakamura from the company and the stars of the Japanese company’s popular foreigner stable Bullet Club (Prince Devitt/Finn Bálor, AJ Styles, Luke Gallows, Karl Anderson, and Adam Cole), a clear message was sent to NJPW as the WWE Network became available in the foreign country (not to mention their recent acquisition of Ricochet who was also a star in NJPW). As noted, however, NJPW has hit back by signing Cody Rhodes, Chris Jericho, and Rey Mysterio Jr. Still, WWE has been taking steps to expand its Japanese roster with Nakamura as well as Hideo Itami (Noah’s Kenta), Asuka, Akira Tozawa (Dragon Gate staple), Kairi Sane (Lucha Underground‘s Doku), Australia’s TM61 (Noah’s The Mighty Don’t Kneel), and, reportedly, Io Shirai (Lucha Underground‘s Hitokiri). Still, despite WWE’s raid on the Bullet Club, the NJPW/ROH group is no doubt bigger and better than ever. The Elite, composed of Kenny Omega, Young Bucks, Cody Rhodes, Marty Scurll, and Adam Page, form a popular faction within the Bullet Club that is tearing down barriers around the world as their merchandise continues to penetrate pop culture. Reportedly, WWE has been trying to secure more members of the Bullet Club, specifically Tama Tonga, Bad Luck Fale (who, rumor has it, refuses to move too far from his home of New Zealand), Young Bucks, and Kenny Omega (who was in WWE developmental in 2005) thus far to no avail. Though, journalist Bryan Alvarez has indicated he suspects with the income from SmackDown signing to be on Fox, WWE may have the funds to lure Omega, Cody, and the Bucks. In any event, WWE has the resources to take a similar approach to Japan as it has the UK especially considering the sheer volume of promotions the eastern Asian island contains. In the past, New Japan has worked with smaller promotions Noah and DDT but they have a distinct policy against using female wrestlers (one of its few exceptions was using Maria Kanellis, who’s currently signed to WWE, and Amber O’Neal, wife of WWE performer Luke Gallows). 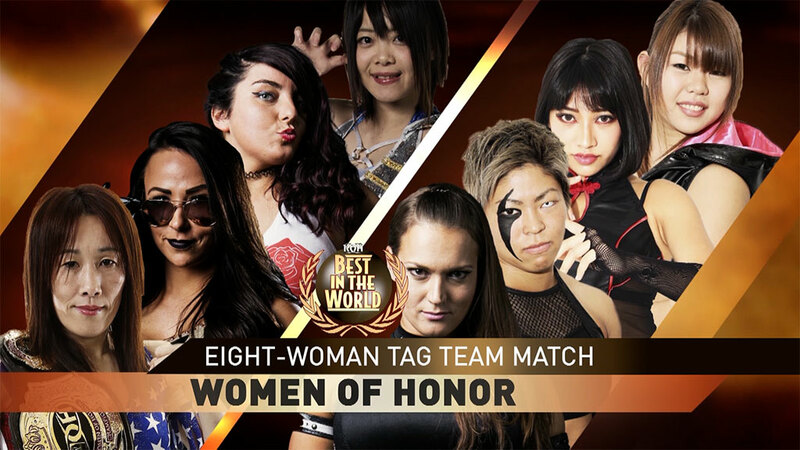 WWE, however, has of late been bringing in talent from Stardom, Japan’s top female wrestling promotion, who currently has a working relationship with Ring of Honor (as CMLL is aligned with Reina Joshi Puroresu where WWE found Asuka). A war on Japan’s doorstep where WWE could align with the like of New Japan’s closest (yet distant) competitor All Japan, Dragon Gate, or Oz Academy could very well be a turning point to force New Japan to bring in female competitors (especially considering the company’s new leadership). Irregardless of what may or may not happen, though, this is a major point in history for the future of pro wrestling as WWE is becoming an all encompassing global brand and New Japan is growing to offer WWE the most competition it has seen in seventeen years. This entry was posted in Professional Wrestling, Wrestling and tagged AAA, CMLL, Impact Wrestling, Jerry Whitworth, Lucha Underground, New Japan, NJPW, Noah, Ring of Honor, Stardom, TNA, World of Sport, WWE, wXw. Bookmark the permalink.